Nintendo of America occasionally throws some extra details into its Nintendo Download Update press release, one of which is promoting a current Splatoon sweepstakes on Miiverse. It's one for creative gamers that fancy sharing a drawing for the shooter on the social network, and it's running until 30th June. Three weekly draws will be made to find artists that'll each win a copy of the game. The DL update also shared the fact there'll be a Best Buy StreetPass Event running from 29th to 31st May in all Best Buy stores in the US and Canada; this is to celebrate the Nintendo World Championships 2015 qualifiers. No more details have been given at the time of writing, so we suspect it's simply an opportunity to grab a batch of hits from the free Wi-Fi source in the stores. So there you have it, a couple of extra events and happenings right now in North America. 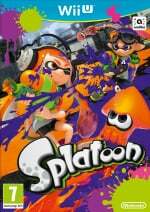 Will you be producing a Splatoon drawing or heading to your local Best Buy for some StreetPass hits? Using Miiverse is one way to increase the content of this game around launch. Wait, is this compatible with Sketchpad or do I have to use the miiverse drawing tool? I guess I have to DRAW nintendo's attention with my fan art xD. Well just kidding, I can't participate because I don't live in the US -,- . Why is this not a global thing? I have the game but would love to win a copy for friends who haven't yet so we could play online together. @vonseux you got yogurt and a splatoon themed fountain... i want that fountain. Art Academy and Pokemon Art Academy are where Nintendo seems to look first for art during contests. Wouldn't the vast majority of commentators in the MiiVerse community already have the game? I already bought the game before drawing up fan art around it.